Edith Can Shoot Things and Hit Them keeps rounding up accolades as Actor’s Express continues it’s run. On top of being Suzi Bass Award recommended, the first three reviews of the Atlanta production have all been positive ones! 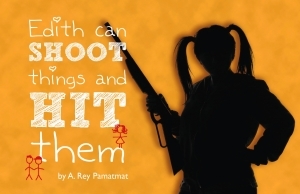 Ralph del Rosario as Kenny and Rose Le Tran as Edith in Edith Can Shoot Things and Hit Them. Photos by KICK Strategy. Also, there was one more straggling rave review of the Miami production that came out the day before the show closed (oh, well). I’ll update the Press page with pull-quotes and all that jazz later this week! My last morning in Georgia has come, and I’ll be flying home to New York this afternoon. I had a lovely time at SCAD and Actor’s Express, and I hope that you can make it out to the show, if you’re in the area. Our opening night yesterday was a great success, and I felt welcomed and very much at home. Thanks, Atlanta! In celebration of Georgia week, I’ve done some related updates to the site. 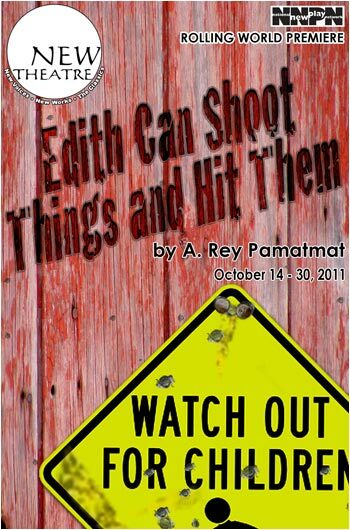 I’ve updated the Press page for Edith Can Shoot Things and Hit Them to include those glowing print reviews of the New Theatre production. The update includes two equally positive blog reviews that I hadn’t published here previously. Cara Becker as Arc, Christopher Cowan as Bby, & Yadi Guevara-Prip as Indy in Out of Joint. Photo by Melissa Gelder. I’ve also added a gallery for the Perry-Mansfield production of Out of Joint. It was great fun remembering how gorgeous that production was. Look at that design! Finally, I’ve updated the site itself so that you can subscribe to posts by E-mail as well as RSS. I’ve also added a post archive so you can search for any past news or events more easily. It’s been a fun week seeing Out of Joint come back to life and grow in the process and seeing Actor’s Express take such great care in their production of Edith Can Shoot Things and Hit Them. Thanks for everything Georgia, and I hope to see you again soon. 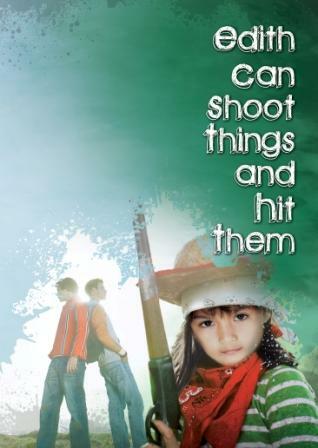 Edith Can Shoot Things and Hit Them Opens Tonight at Actor’s Express! My week in Georgia is coming to an end, and I plan on going out with an air rifle BANG. Tonight Edith Can Shoot Things and Hit Them makes it’s third NNPN Rolling World Premiere stop at Actor’s Express in Atlanta, GA. There will be a performance and post-show reception with the artists (including me) at the theatre — please join us for both! Additionally, I’ve updated the Edith gallery to include photos from the New Theatre production in Coral Gables, Florida. For a performance calendar and tickets, click here. For full cast and crew information, click here. This week Edith Can Shoot Things and Hit Them will make it’s third NNPN Rolling World Premiere stop of four in peachy-keen Atlanta, Georgia. I’ll be heading to Actor’s Express in Atlanta on Wednesday for the last bit of tech, previews, and opening. You can join me there for a post-opening reception on October 29 after the show! For a performance calendar and tickets, click here. For a little information about the show and the NNPN, visit AE’s Artistic Director’s blog here. At the moment, though, I’m at the Savannah College of Art and Design working with their performing arts students on a new draft of Out of Joint, the play first performed at the Perry-Mansfield Performing Arts Camp this summer. 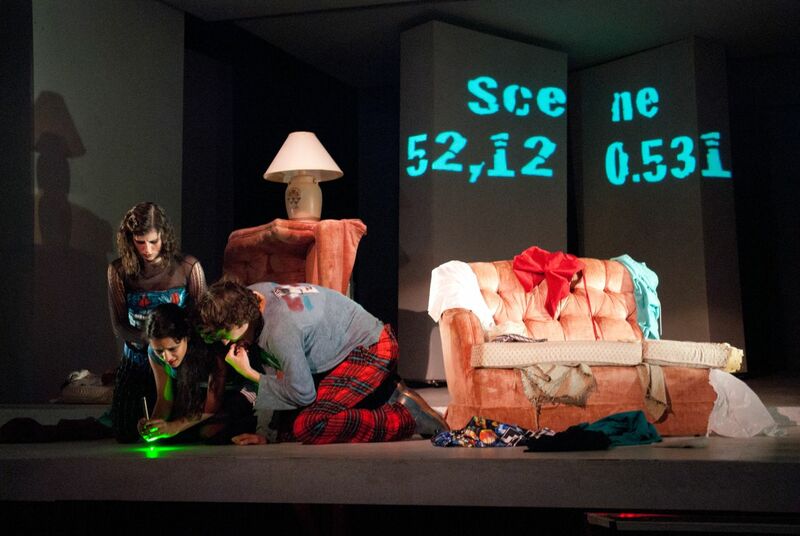 The script is growing from one-act to full-length size in a way I hadn’t, at first, imagined to be possible. The students have been more than game with the weirdness of this time-bending jaunt, and the script gets stronger by the day. After an amazing start at the 2011 Humana Festival, Edith Can Shoot Things and Hit Them is now spreading out across the country as the the 2011 – 12 theater season begins! And with these upcoming productions come all kinds of poster art. I have to admit: I didn’t think that I would be as excited about this as I actually am. I loved the Humana poster, but somehow it didn’t register that there would be different posters to be excited about for all of the stops on the Rolling World Premiere (even though, obviously, yes, there would be). New Theatre‘s production of Edith will be opening next week in Coral Gables, Florida! The show will run from October 14 – 30th. I’ll be in Miami at a special reception on October 14th, so please buy tickets that night and join us for the fun. 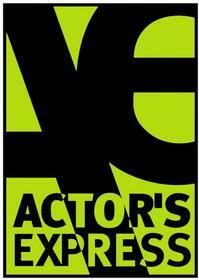 Atlanta, Georgia’s Actor’s Express will follow as the third stop at the end of October, running from October 27 – November 26. I will be in Atlanta that week, and as things shape up regarding opening night events, I’ll keep you posted. 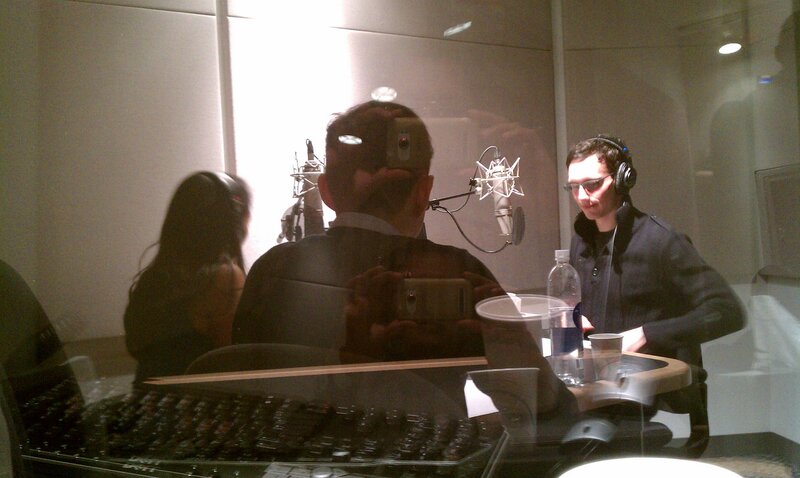 Edith‘s final Rolling World Premiere stop isn’t until Spring of 2012 in Minneapolis, Minnesota. Until then, take a peek at Mu Performing Arts’ poster for that production. Rounding out 2011 – 12 will be productions of the play at Manbites Dog in Durham, North Carolina and B Street Theatre in Sacramento. I will definitely be stalking their sites as the productions open and will post the artwork here. If you’re in the Miami or Atlanta metro areas, tickets are already on sale! Enjoy the show, and I hope to see you there. 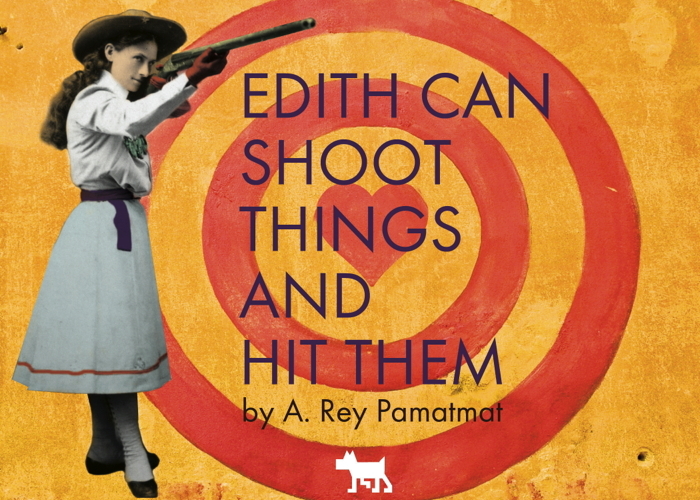 Edith Can Shoot Things and Hit Them, Out of Joint, and the PONY — I’ve been a little all over the place lately. Here’s a bit of a press round-up on all of my recent projects. First, I was interviewed by KadmusArts about receiving the PONY Fellowship and being an emerging playwright. The Awards and Fellowships Press page has also been updated with other PONY press. Out of Joint had a good run at Perry-Mansfield, and Steamboat Today ran a piece on it and The Moon by Otis Sallid, Aaron Jones, and Ronobir Lahiri, including a photo gallery with many beautiful pictures of the show. And here’s an interview with Freddie Ashley, the artistic director of Actor’s Express, that includes a discussion of Edith…, which is part of their upcoming season. 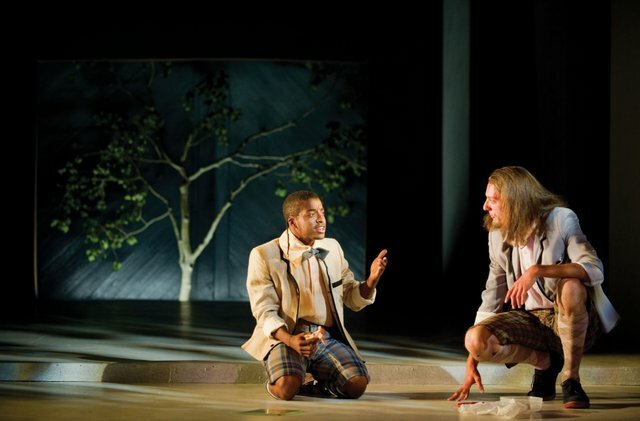 There’s also a review of the 2011 Humana Festival in this month’s issue of American Theatre Magazine, which includes some kind words about the play. The article isn’t available online, but you can see a preview of the issue here (including a photograph of Jon Norman Schneider and Cory Michael Smith from the show). And, last but not least, I will be in Chicago this weekend for a workshop of my play Beautiful Day with the American Theater Company. I’m very excited to have the chance to develop this piece and to work with such an excellent company for the first time. At the moment the presentation is by invitation only, but hopefully this won’t be the last you’ve heard of this play. We start previews for Edith Can Shoot Things and Hit Them this coming Friday and open on Sunday at The Actors Theatre of Louisville, which is the kick off for it’s rolling world premiere, as detailed by the National New Play Network here. I’m incredibly honored to receive such recognition and look forward to visiting the New Theatre, Actor’s Express, and Mu Performing Arts in the year to come!